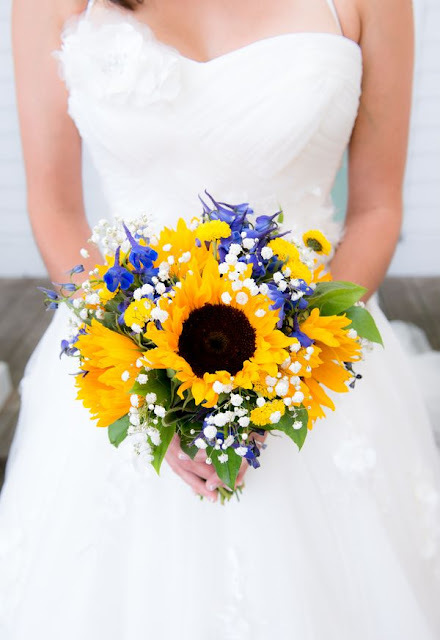 I am a Woman in Love: You're Having a Summer Wedding? 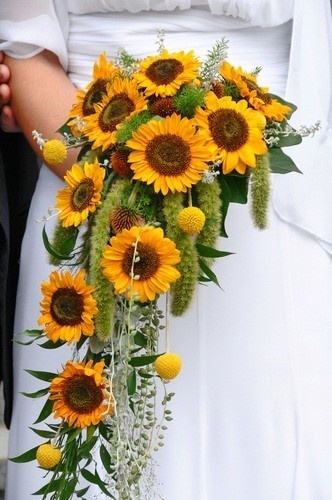 How About Sunflowers for Your Wedding Bouquet? 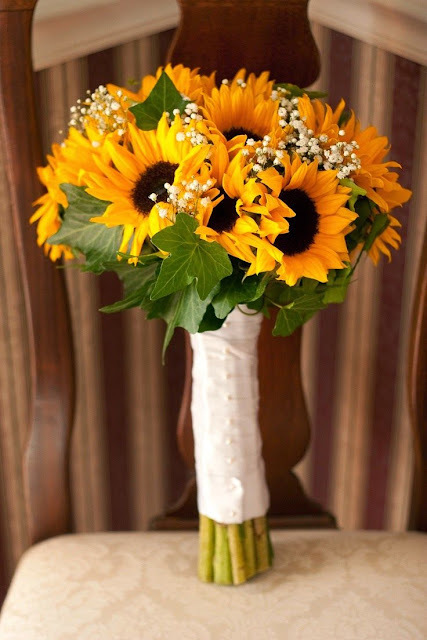 You're Having a Summer Wedding? 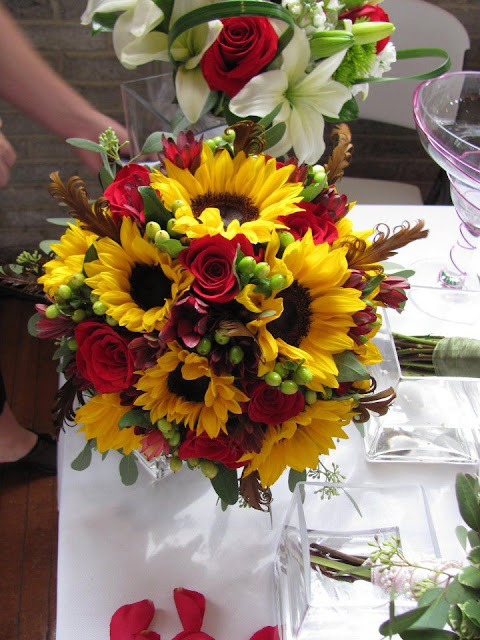 How About Sunflowers for Your Wedding Bouquet? 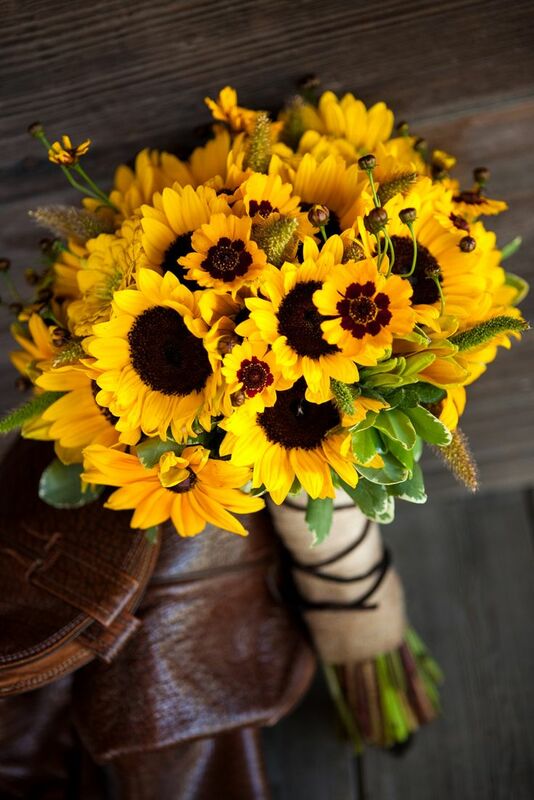 If you've ever been outside a city, then you know how infinite fields of sunflowers look like. 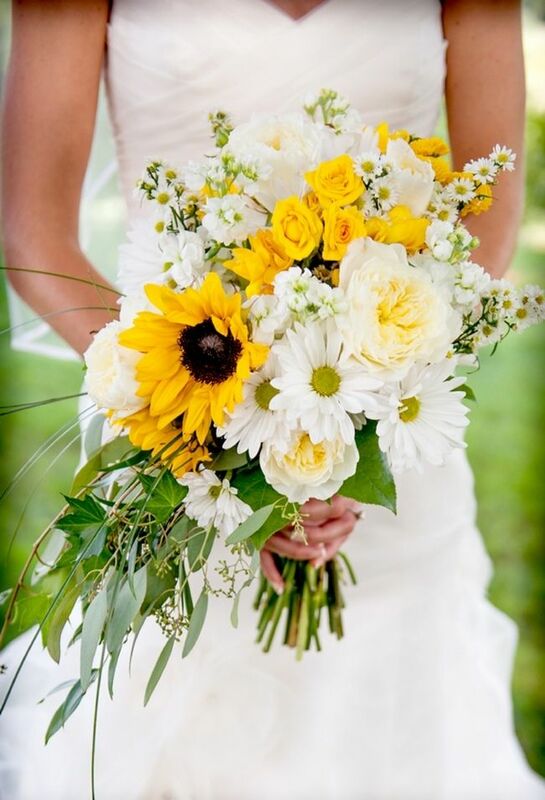 It is July and it's the time these gorgeous flowers are in full bloom. Expect to be mesmerized by the sight of such an amazing view. And you could enjoy the beauty of these sunflowers for your summer wedding. 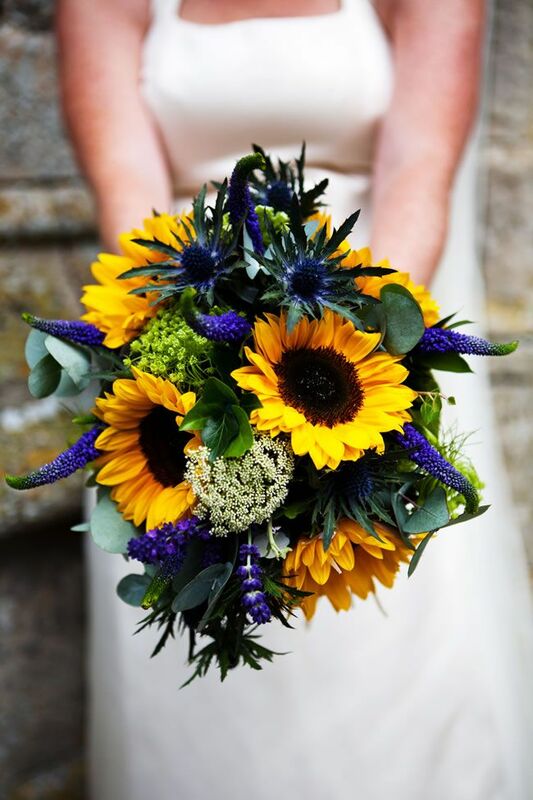 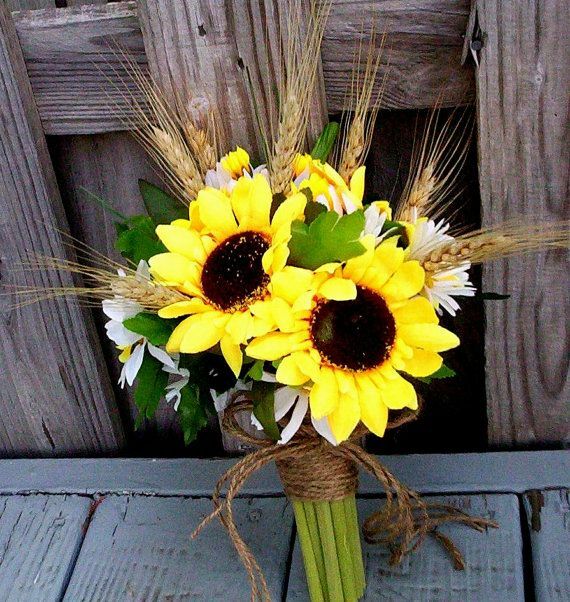 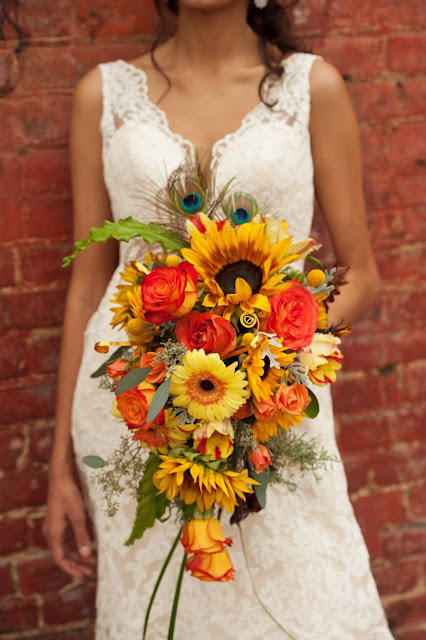 Don't worry, there are countless color combinations and textures when it comes to a fabulous sunflower wedding bouquet. 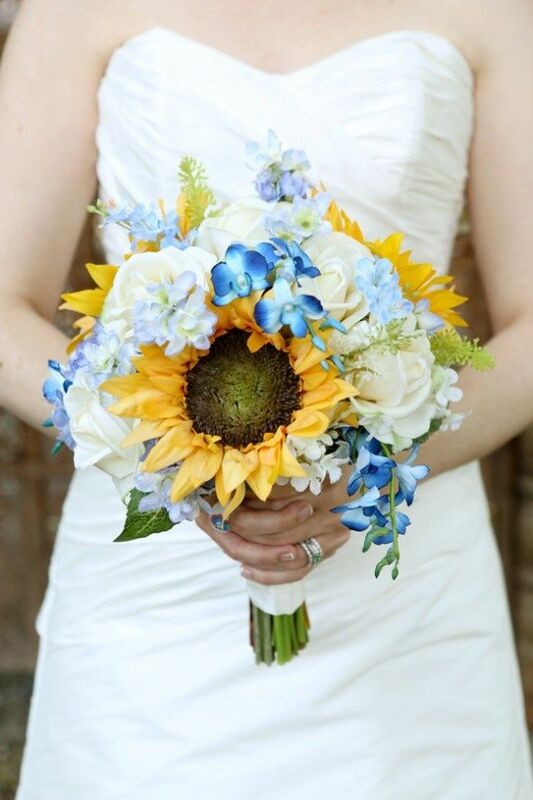 My favorites include blue and white.